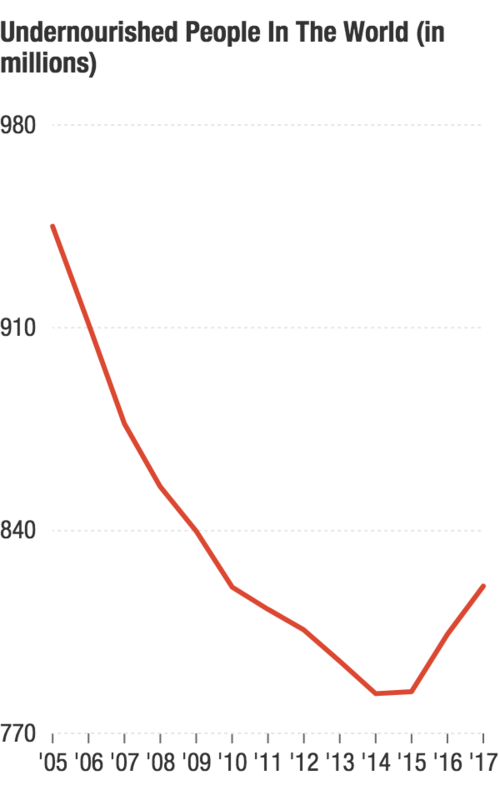 Number Of Hungry People Is Going Up By Millions According To New U.N. Report : Goats and Soda A U.N. report shows that the number of people around the world who aren't getting enough to eat has been increasing by millions since 2014. 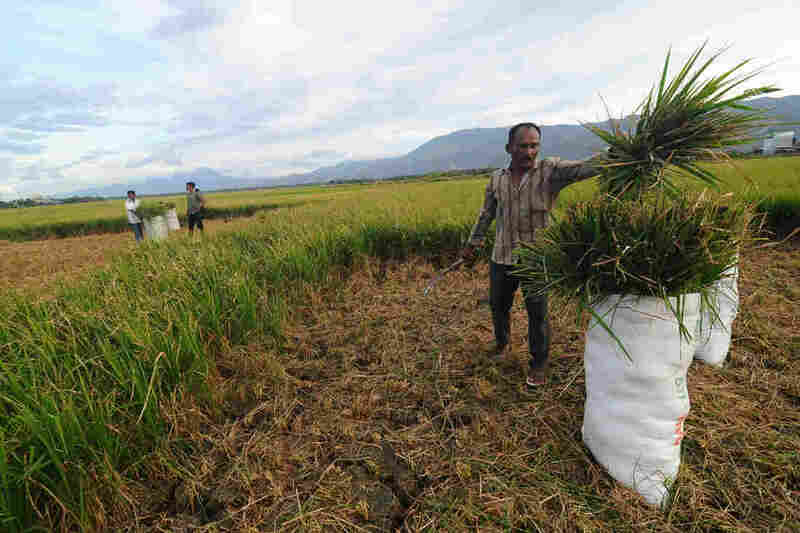 Farmers in Aceh, Indonesia, are facing crop failure because of droughts. 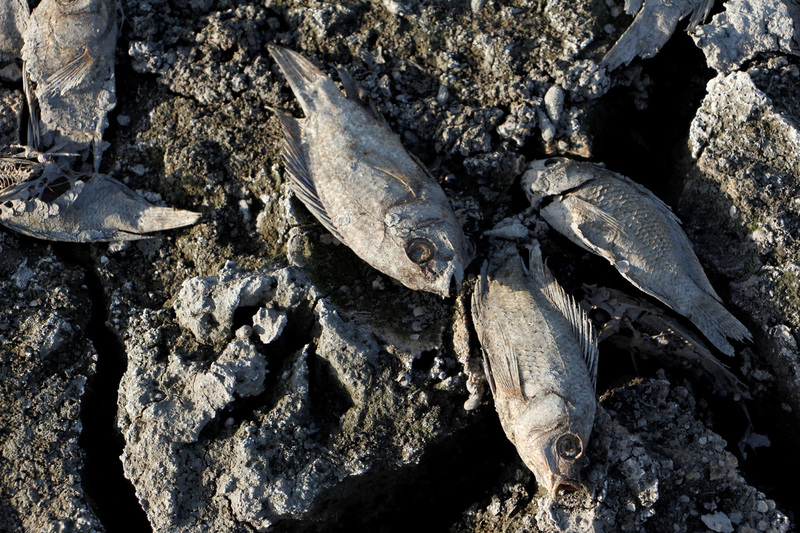 Dead fish are seen in ponds that dried up because of drought in Aceh, Indonesia, this past July.